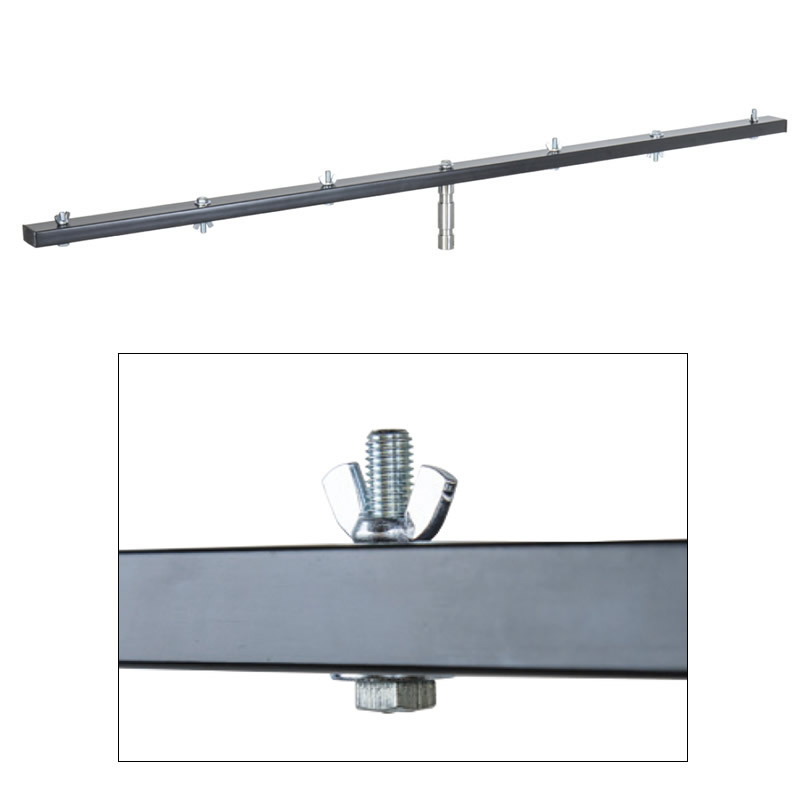 1420 mm(55.9" ) long solid steel square tube attached with solid steel 28mm spigot. Six butterfly nuts are equipped on the bar for maximum mounting six lighting fixtures. Max loading weight is 12 KG but please note that when load on one side only, max loading weight would be 6 kg.